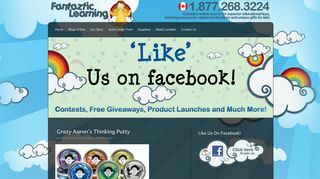 Fantaztic Learning Store – Offering educational games, including sound, wooden, and floor puzzles. Includes teacher and classroom resources. – Offering educational games, including sound, wooden, and floor puzzles. Includes teacher and classroom resources.